From left to right: Clear Public Space’s Luke Douglas-Home, pupils at Wilberforce Primary School, Environment Secretary Michael Gove, teacher at Wilberforce primary school. Credit: Clear Public Space. 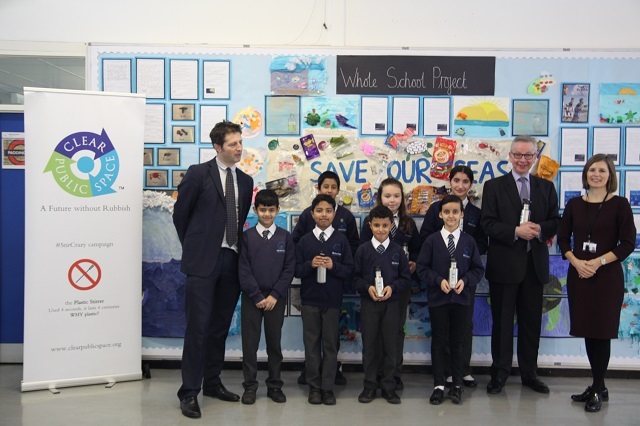 Today, Environment Secretary Michael Gove visited pupils at Wilberforce Primary School in Westminster, active in cutting food waste and plastic waste, and educating its pupils about the impact of single-use plastics on the environment. The Environment Secretary spoke to pupils in this morning’s assembly about government’s commitment and action to fight food and plastic waste. The visit was also attended by Clear Public Space, an international campaign group and social enterprise, and creator of the #StirCrazy campaign to eliminate plastic stirrers. We want to leave our environment in better state than we inherited it, and it’s great that young people at Wilberforce Primary School are playing their part. I’m delighted the next generation are being inspired join the fight against unnecessary food and plastic waste, and help us tread more lightly on the planet. Government is committed eliminating single-use plastic waste. We have introduced a world-leading ban microbeads in rinse-off personal care products, have taken over 15 billion plastic bags out of circulation with our 5p carrier bag charge, and launched a consultation to extend the charge to all retailers and double the minimum charge to 10p. We have also announced plans to introduce a deposit return scheme for single use drinks containers, and ban the sale of plastic straws, drinks stirrers and plastic-stemmed cotton buds, subject to consultation. On Saturday the Daily Star ‘Gone Fishin’ column covered the Environment Agency consultation about the future of the close season for coarse fishing. 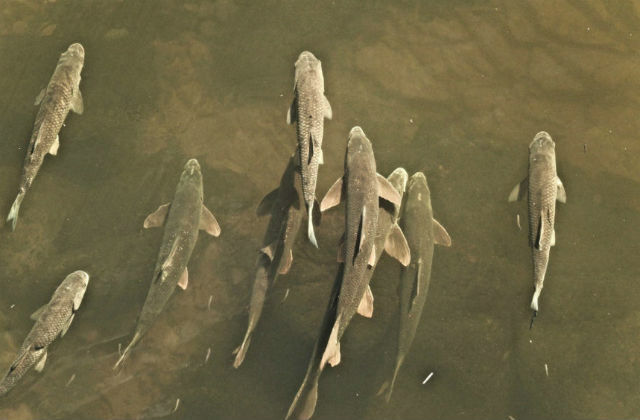 The column reminds anglers that the consultation gives them the chance to comment on whether or not the close season – which aims to protect spawning fish, such as roach, perch and barbel, by closing river fishing between 15 March to 15 June - is retained or abolished. The public consultation runs til 11 March 2019. We want to hear the views of anybody with an interest in coarse fisheries, their preferred way forward and the reasons and evidence to support that. This will help us decide whether there is a case for change. Our priority is to find the right balance between angling and protecting fish stocks.